Day 4 was about taking the overseas parcels to the Post Office … no words needed. and added a photo, a flare and three small embellishments. Called it done. which he kindly said I could have immediately. It’s a brand spanking new dSLR camera … a Nikon D3200, to be exact. And I’m very much looking forward to us becoming better acquainted. 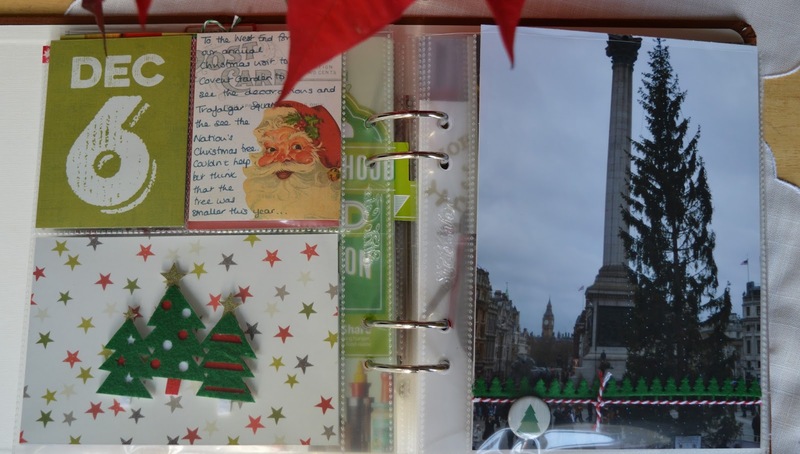 Day 6 was about our visit to Trafalgar Square to see the Nation’s Christmas tree. meaning Norway no longer had such a large disposable income! The RHS was ideal for a full page photo. I actually printed it at A4 and then cut it down to size. 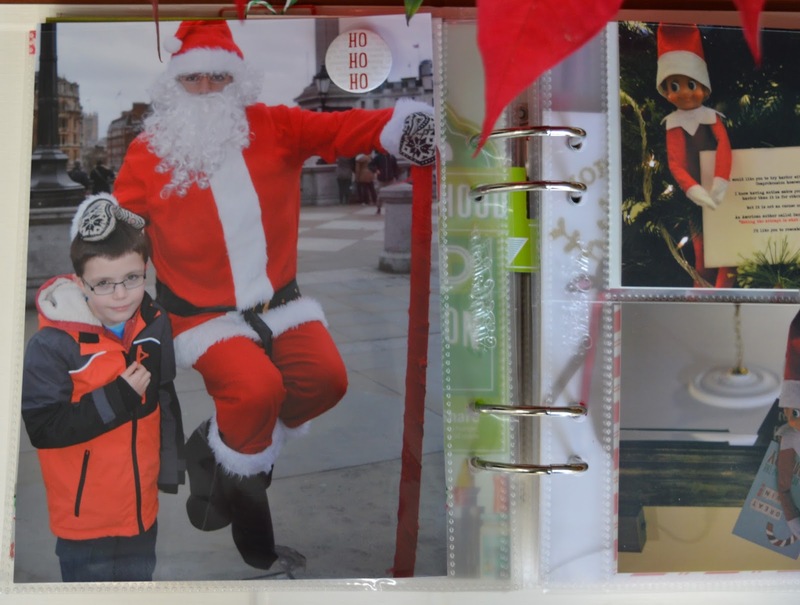 On the reverse I added a cute photo of The Boy Child with a magically ‘floating’ Santa. which you can just see on the RHS. 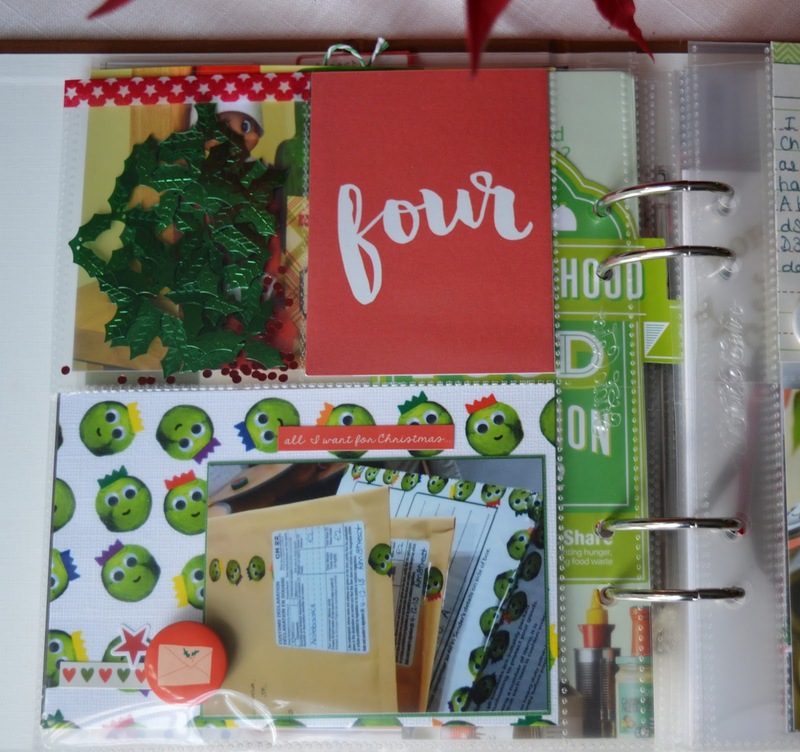 December Daily; My favourite project of the year. Sprout parcel tape? – those devious little vegetables are gradually taking over the world! Yep: we took out biggest box to go to California and the girl behind the desk didn't know what to do with it. So we're standing there on a Saturday afternoon while she tries to contact her boss by phone so he could talk her through it. Fingers crossed for its arrival. 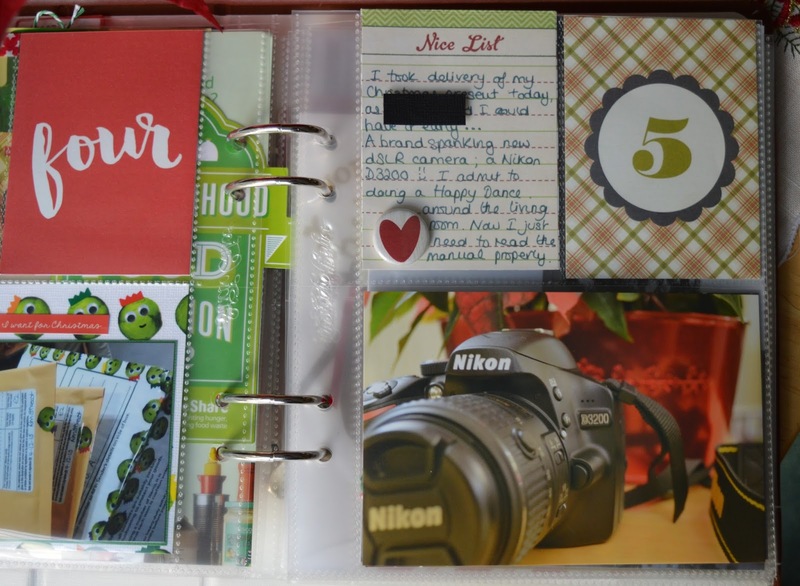 I admire you keeping so current with your December Daily, day 7 & I'm already a day behind. Neat sprout parcel tape, they look like they are in their Christmas cracker paper crowns already. Lovely book! Looks like you've had quite a few adventures recently!